I’ve adored watching this little lady over the last year! 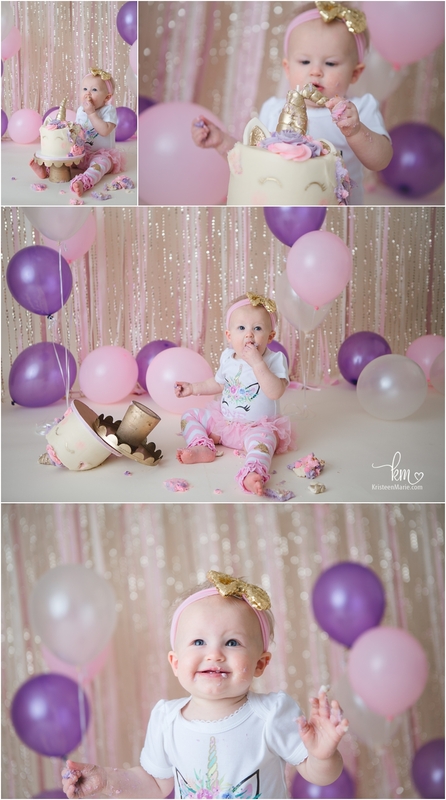 I had the privilege of being there when she was born and I’ve photographed her every few months since. Well her family moved away since her last session (so sad!). 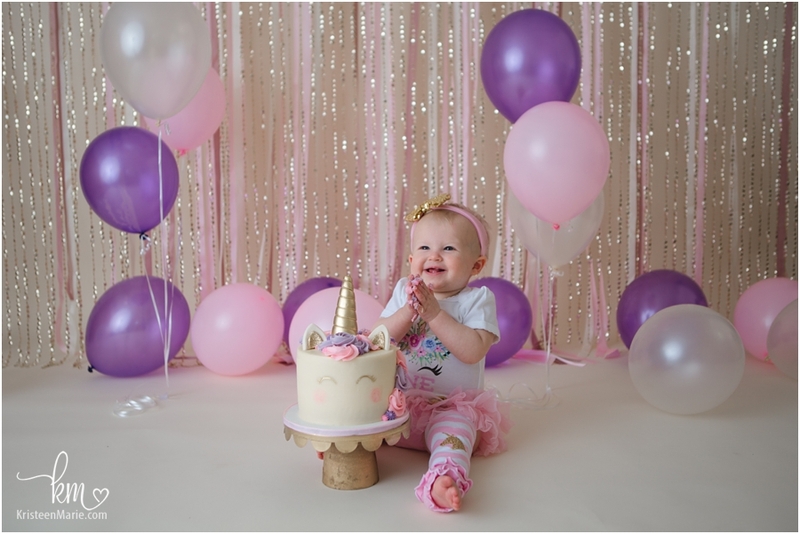 I was afraid I wasn’t going to get to see her for her cake smash session, but Mom and Dad couldn’t miss celebrating with me and drove 7+ hours so that she could do her cake smash in the studio! Now that is dedication. If you ask me, it was so worth the drive. 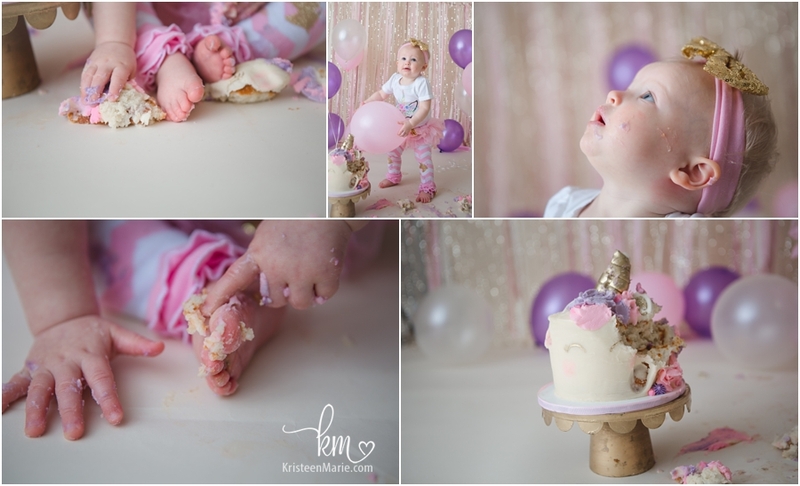 This is one of my favorite cake smash sessions to date! 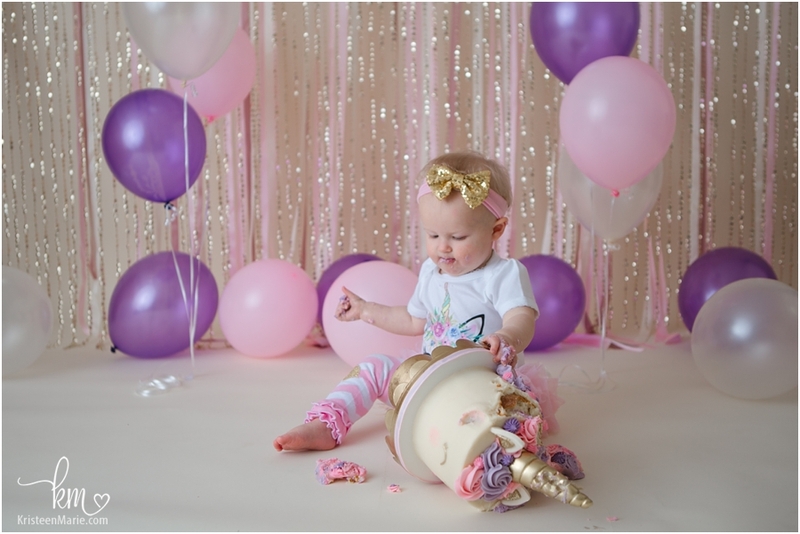 It’s a pink, purple, and gold themed unicorn session. The cake couldn’t have been more perfect for the session. 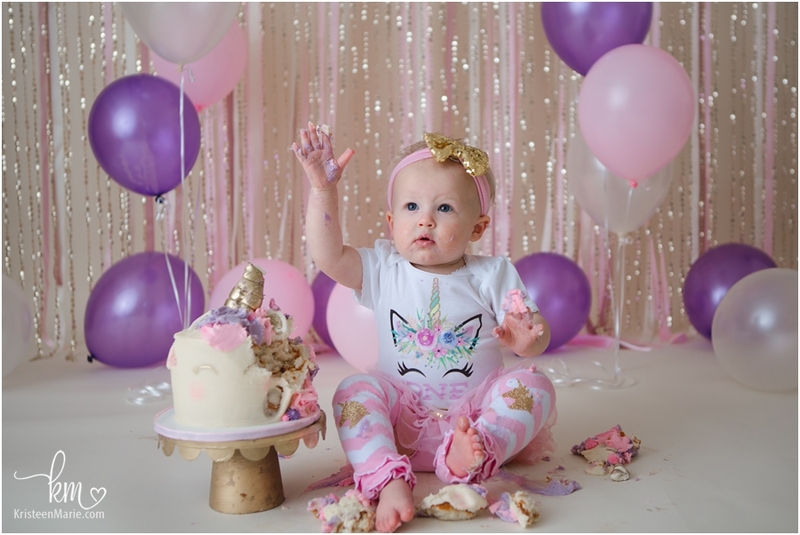 And this little lady was the perfect birthday model. Be sure to check out the behind the scenes video at the end of this post. You won’t want to miss it. Thanks for making the drive to visit me in the studio for your birthday session! 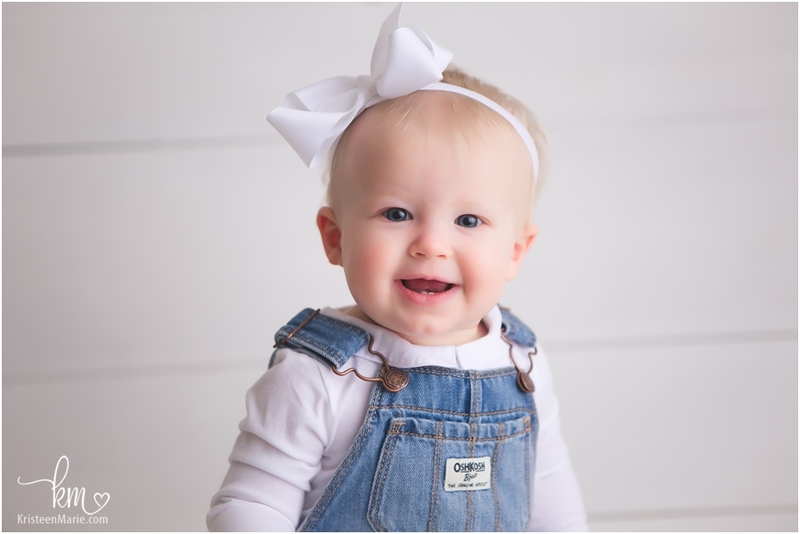 Are you looking for an Indianapolis photographer? If so, let me know! I would love to meet your family.